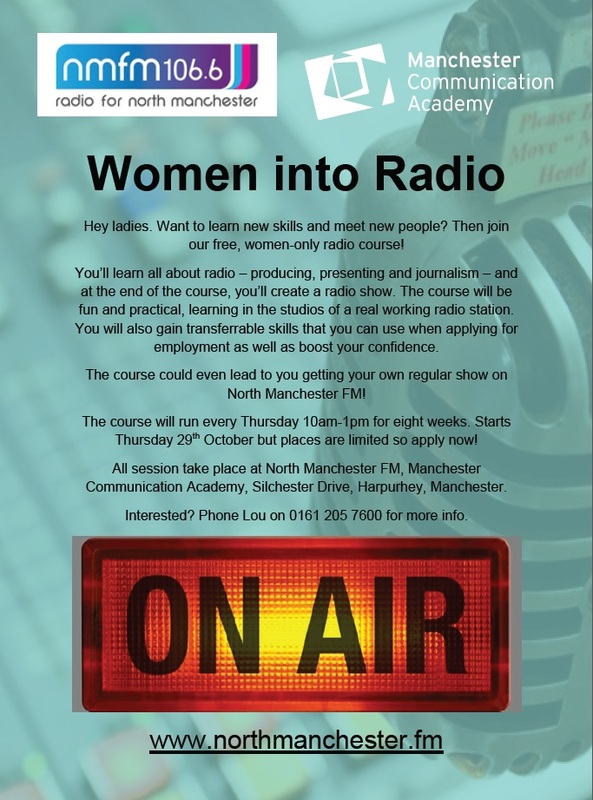 New women-only radio training course! Starts Thursday 29th October. Places are filling up fast so don’t delay! For more info or to book your place call Lou now on 0161 205 7600. ← North Manchester FM is moving!